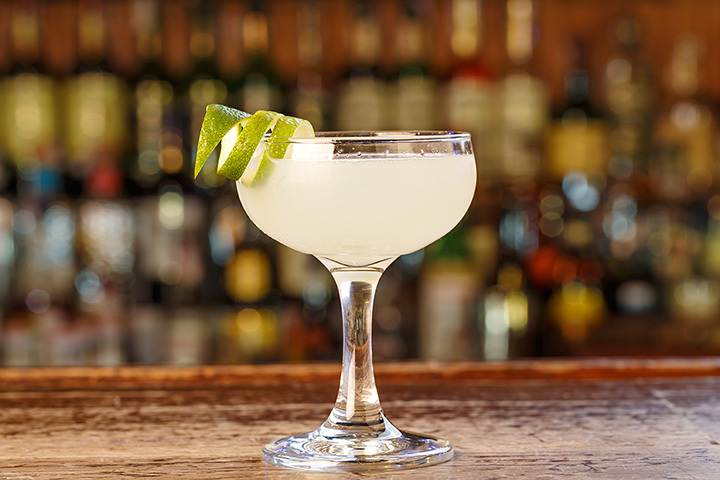 The 10 Best Places for Margaritas in New Hampshire! Do you like your margarita rimmed with salt? Do you prefer it frozen or shaken? No matter your preferences, the follow establishments serve up the best margaritas in New Hampshire. Be sure to check one out the next time your thirst needs quenching! Monday and Tuesday means lounge specials at Agave Mexican Bistro, which was named “Best Mexican Food” in the state of New Hampshire. Their margaritas are award-worthy, too, and their 125 kinds of tequila means their bar is pretty impressive, too. Parking can be tough in downtown Portsmouth, but there’s a parking garage just a few blocks away. The upstairs lounge at Hermanos is the perfect places to enjoy a margarita or two. In fact, their margaritas were awarded “Best in Concord” in 2015, and they are still going strong. Choose from 15 different types of margaritas. Come on Saturday or Sunday, and you’ll get to enjoy live music, too. El Colima is small and family run, and is a favorite among Nashua residents and countless visitors. Check out their Bull Margarita or their Telarana Margarita. There are several more from which to choose as well. Vida Cantina is an upscale Mexican eatery and bar, and their margaritas are sensational. La Flaca is their house margarita. You may also choose from many more, including Clandestino, Chupacabra, El Camino, Portsmouth Sunset, and more. You can’t go wrong with anything you order here. Featuring old Mexico with a modern twist, El Tapatio is a family owned and operated restaurant and cantina in Merrimack. Their bar is extensive, featuring many tequila options and positively delicious margaritas. Their Tapatio Sampler is perfect for sharing with friends while sipping your margaritas. If you're in Rochester, La Corona is a must visit. And their margaritas are on the top of that list. Their cucumber margarita, in particular, is sublime. Not a cucumber fan? They have 10 more kinds of margaritas they’re happy to mix up for you. You'll definitely be coming back for more. If you’ve never had a fresh-squeezed margarita, you need to visit Margarita Grill. Everything in the restaurant/bar is farm to table, and the fruit used in their margaritas is just as fresh. You’ll likely want to order a meal or at least an appetizer once you’re inside and tantalized by the sights and smells. Try their North of the Border Nachos. They go perfectly with a margarita—preferably with two! El Centenario is small, but it celebrates Mexican culture with some big tastes. Their margaritas are big and icy cold, and pair perfectly with the guacamole they make right in front of you. Only the finest tequilas are used in margaritas at Fiesta Jalisco. Choose from classic lime, as well as strawberry, banana, mango, raspberry and more. Order a pitcher of margaritas and share! Visit Amigo’s at Happy Hour, and upgrade your margarita to 100 percent Altos Tequila for just $6.99. Sauza Gold Margaritas are just $4.99 during Happy Hour, which is from 2-6 weekdays, plus all day Thursday. You’ll definitely want to have a margarita here. They were voted “Best in New Hampshire” for the drink just a few short years ago. View more New Hampshire Bars and Saloons.